A new German far-right party established by a notorious Alternative for Germany politician has used a secret symbol, worn by Austrian Nazis before WWII, as part of their logo. The Awakening of German Patriots or AdP (Aufbruch der deutschen Patrioten) is now the youngest far-right party in Germany. It was set up by Andre Poggenburg, who recently quit Alternative for Germany (AfD). Not much is known about their agenda so far, but one particular part of an emblem they will use does provide some food for thought. AdP’s website, which is under construction at the time of writing, features a cornflower against the background of a German flag. Looking innocent at first glance, the flower has an ugly past going back to the Nazi era. The cornflower was actually worn by Austrian National Socialists as a secret way of recognizing each other when they were banned in the 1930s, before Adolf Hitler launched the Anschluss and annexed his native country in 1938. Aside from Austrian Nazis, the cornflower was German Kaiser Wilhelm’s favorite flower. It was also used by German nationalists in the 19th century. In the 21st century though, the pretty blue flower was once worn by Austria’s right-wing, anti-immigration Freedom Party (FPO). 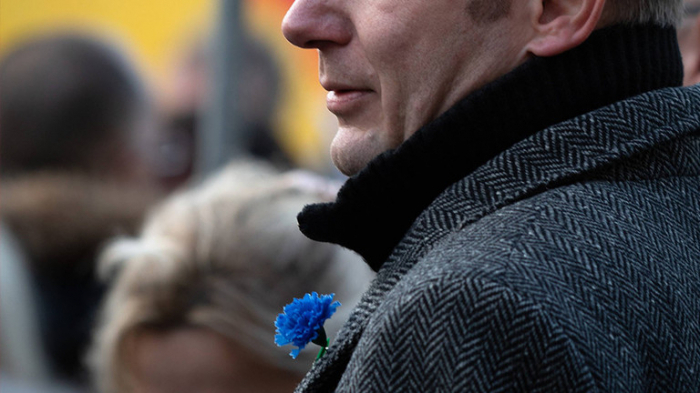 However, the party leaders told fellow MPs to avoid wearing the flower in their buttonholes fearing public backlash. This week, Poggenburg said long-standing differences with the AfD leadership in Berlin had “ultimately taken on an insurmountable scale, leading me to decide that I had to continue my political struggle for this country outside the AfD.” However, he said his new party will not compete with the AfD but will act as its ally.